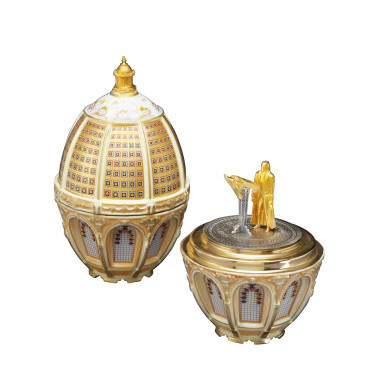 The ‘Enlighten the People’ Egg commemorates the 250th anniversary of the Birth of Thomas Jefferson and his passionate commitment to Liberty. 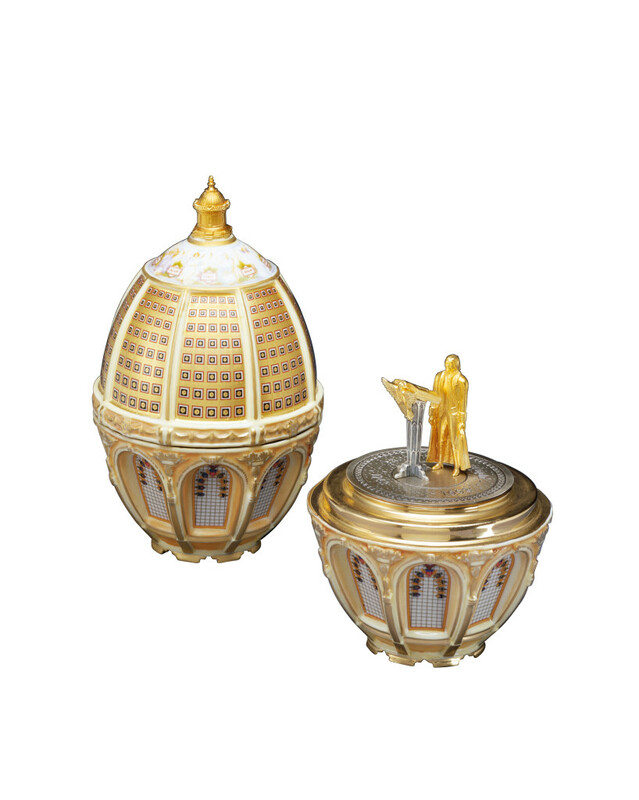 Theo Fabergé’s creation is inspired by Thomas Jefferson’s belief that enlightenment leads to freedom and liberation of Congress. The Egg is sculpted in fine bone china, hand-painted in an array of colours representing the decorative Great Dome of the magnificent reading room in the Library of Congress. The Egg opens to reveal Jefferson, crafted in vermeil, by a lectern holding the letter mandating his own great private library to the nation. The American Eagle surmounting the lectern and the floor design are found within the library.